Please call the restaurant directly for any Holiday Reservations. Private Dining available for seating from 14-50 guests. Everything was just okay. Good but not great. I expected more. We had meatballs, pizza, the fried chicken (which was a bit dry) and risotto and while everything was good it wasn’t great. I wanted to like it and really was looking forward to this dinner and I really felt let down. This experience was very disappointing. The food descriptions were inaccurate. - Our salad said it included “olive tamponade” , when it arrived there was maybe a teaspoon of chopped olives on the side. - The “lemon” pasta with prawns has zero flavor of any kind, and the 2 small shrimp on the plate were under cooked and bland. My salmon was as good as I could have gotten at Denny’s no better. It was cooked on such high heat that most of the salmon flavor was missing. The Gelato described with a word we had to google that turned out to mean chocolate chips, had no chocolate at all and zero taste of any kind - not even vanilla. The person delivering our meals couldn’t answer any of our questions about the food. Why? Our waiter seemed to recommend things only because he was told to. Like he was told “tonight we recommend the lemon pasta” that he never tried. To top this off, this below expectations (being polite) meal was $120 without alcohol. We voiced our thoughts to our waiter twice, and we were very polite, asking if he’d like some honest feedback on the food. After we told him our thoughts he just shrugged it off. No apologies or mention that he would tell the manager, nothing. This experience felt like another Vegas broken promise. We were prepared for a nice Easter dinner on our weekend away, but received a very underwhelming meal. We had a fantastic time. Our waitress was awesome. She had great recommendations on food and drinks. The chocolate brownie cart at the end was super fun and very cheap. We’ve been to giada’s for dinner but brunch today was very chill. 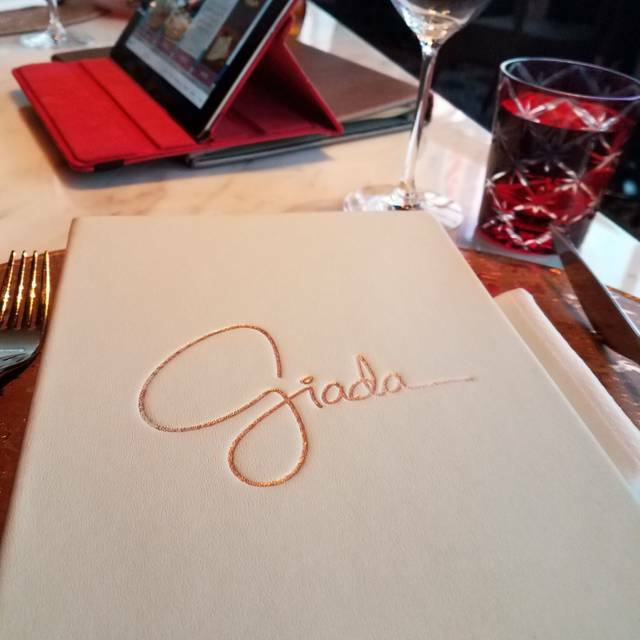 Giada was delicious and elegant! It was a perfect place to celebrate a special occasion. 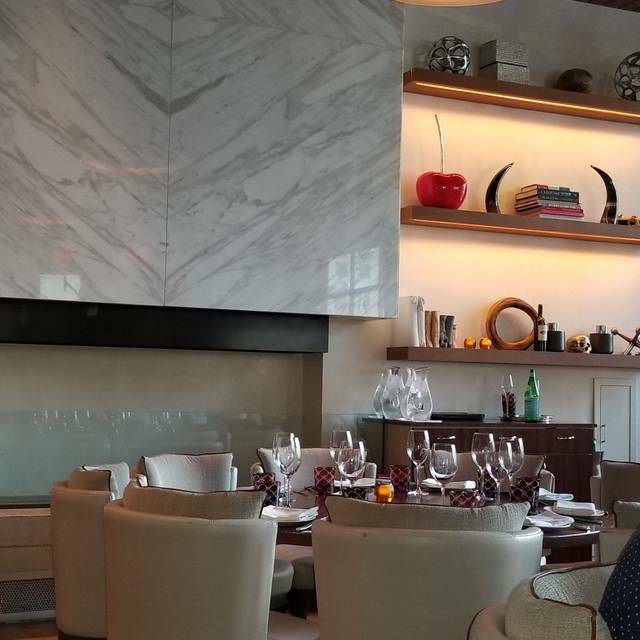 The tasting menu allowed us to try all of her best dishes. Well worth the trip! Outstanding in all accounts. Bravissimo! Great dinner! Wonderful kids menu. We have been many times and always come back when we are in town. We love this place!! Fred, our waiter, is the BEST!! Great service-awesome personality!! Thanks for making it a special birthday. The food and view were incredible! Unfortunately, although our waiter was okay, the person who was supposed to keep our drinks filled dropped the ball. We asked for ice twice and never received any and our drinks were left empty for long periods of time. As usual Giada's was excellent. We go every year for our big "splurge" dinner and are never disappointed. Good location, and plenty of parking fasility. A little bit noisy, but a excellent service. Our italian speaking waiter was so nice, even known where Curacao was, our friendly island. The menu was very different, very gourmet. Food was good, but I just felt it was just ok. A lot of seafood and not enough of the Italian we all know and love. I would not go back, very expensive also. I booked the reservations for my parents. They were on a vacation in Vegas. They said the food was amazing. They loved it and said they will definitely go back next time. We were here for my birthday but had to eat early to make our show time. We were seated at the window overlooking the main intersection of the strip and could watch the Bellagio fountain show. Food was amazing and so interesting. Wine selection also good. Dinner will run at least $100 per person even without dessert but worth every penny. And as other reviewers have said, don’t skip the bread. 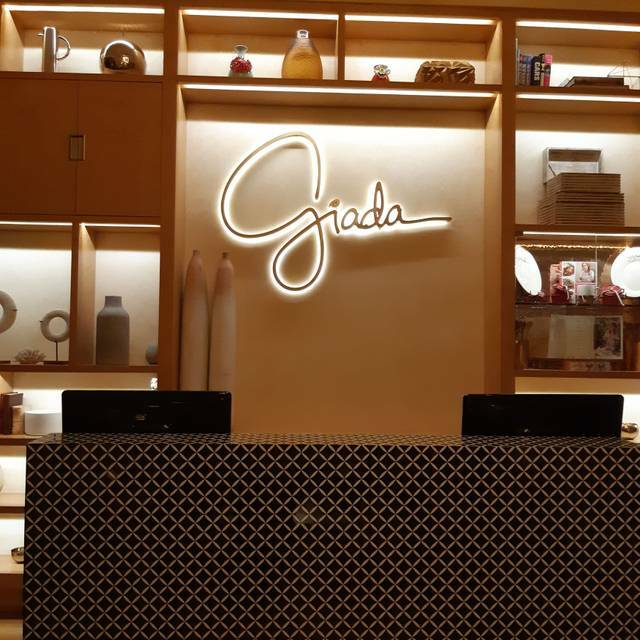 I had extremely high expectations for Giada and it did not disappoint. I am an Italian food loved and Giada's recipes are my go-to when I'm looking for something new and exciting. We ordered two appetizers, two entrees, two sides and dessert and it was fantastic from start to finish. Even the bread and dips brought out were just to die for. Our server was bubbly, attentive, and just wonderful and really enhanced our experience (I so wish I could remember her name). 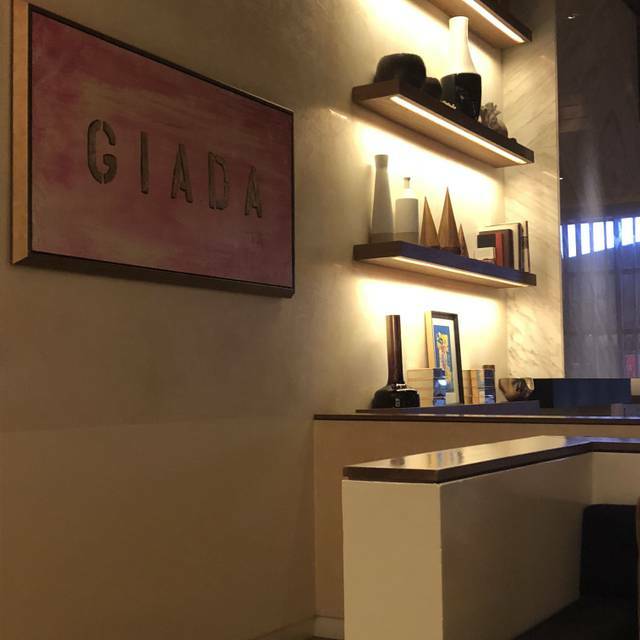 I've already recommended Giada to a few friends back home for the next time they're in Las Vegas and I can say for certain that I will be back. Fantastic food and service. We had the Spaghetti and also the Ravioli. Along with a salad which was perfectly dressed and also the Chicken meatballs. The quality of the food was tops. The service was attentive but not rushed. Really enjoyed and will be back for sure! 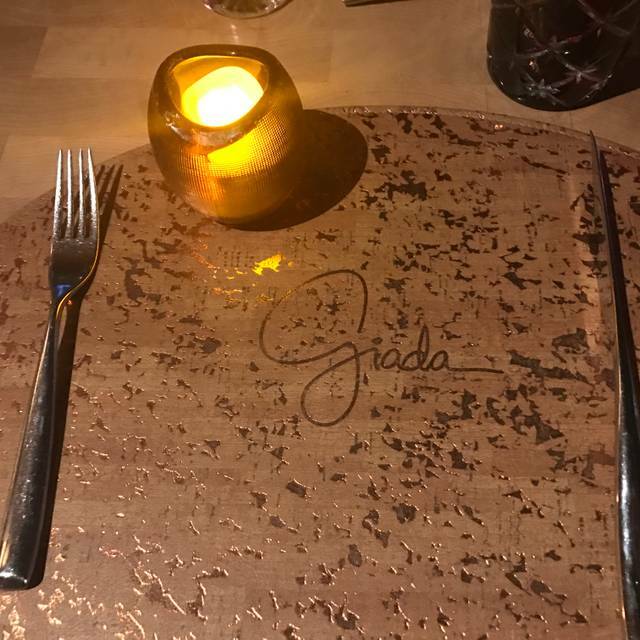 Giada was a fine dining experience. Our waiter, Rocco, was very knowledgeable of the menu and wine selection and made excellent recommendations. 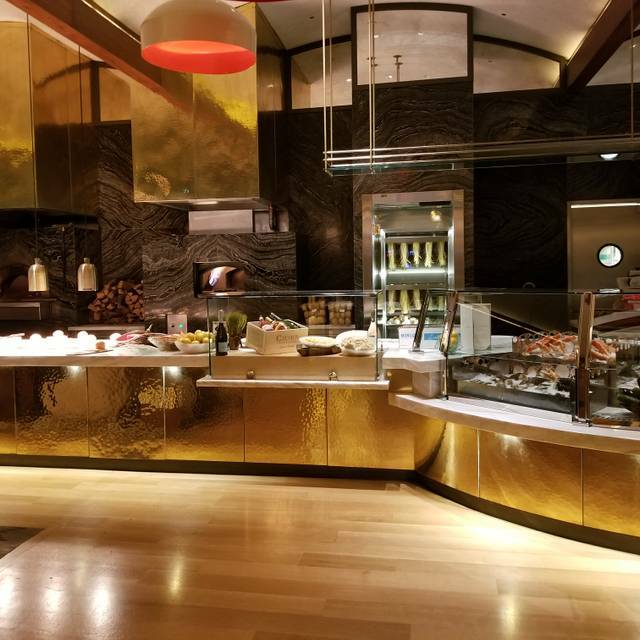 The ambience is very nice--not so intimate that you wouldn't want to take friends and family but not so casual that a special date would seem inappropriate. 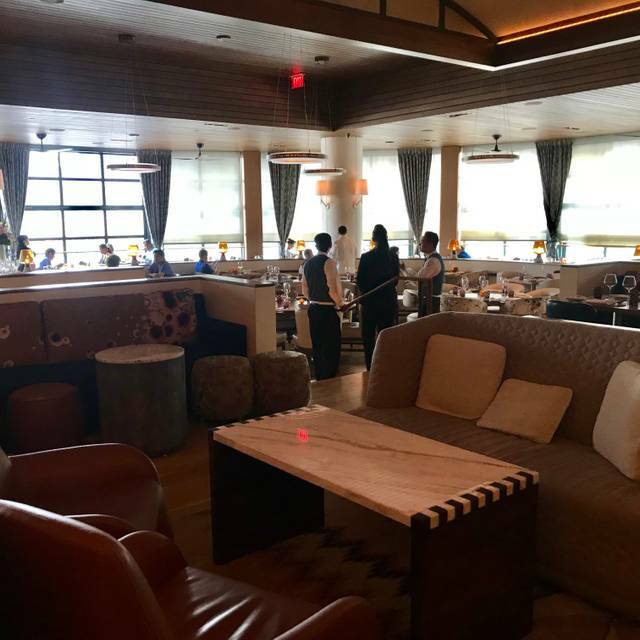 Ask for a table by the window for a great view of the Strip. The menu is fairly small but has something for every taste. I had the lamb which was cooked perfectly medium rare and my wife had the seared scallop risotto. Portion sizes were perfect and presentation spectacular. We started with bacon wrapped stuffed dates which were delicious and finished with the tiramisu baked Alaska--simply one of the best interpretations on tiramisu I've ever had. 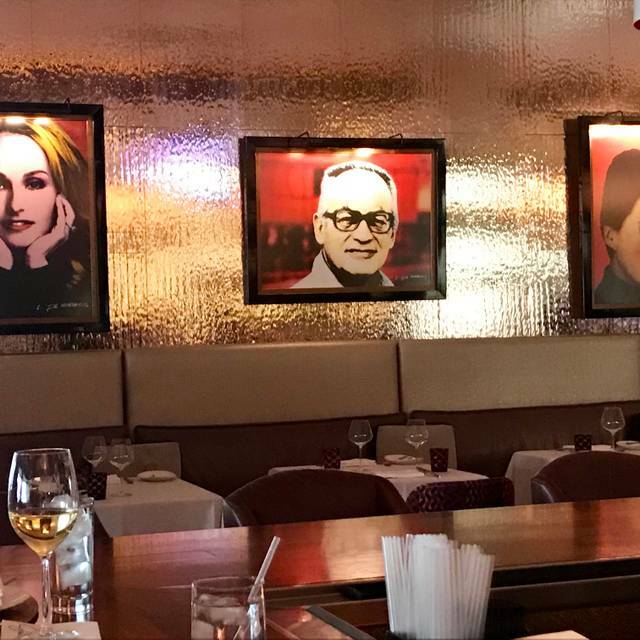 Great place for a special meal--and you'll drop a few dollars but it is worth it every now and then. Everything was amazing. Some of the Seafood was a little tasteless but overtaken was great. Food was mediocre and overpriced. I can cook just as good from her cookbook as an untrained cook at home than at her restaurant. Italian fried chicken was bad. Steak was okay. Best dishes were the pasta with shrimp and desserts. However, the plates, placemats, and dessert cart are faded. The silverware had an odd flared handle which made eating difficult; kept falling off the table. The waiter spilled my sons soda all over the table and me (my shoes and feet , my dress was crunchy ) AND they didn’t even comp us on the drink. Service lacking and straws disintegrated, failed to be replaced after being asked twice. Like the windows and ability to see outdoors, but the sun was blazing out our eyes. Buy her book and cook it at home. Use the money saved to go go elsewhere in Vegas.
. DO NOT COME. Do not WASTE YOUR MONEY HERE. COOK BOOK IS BETTER AND CHEAPER THAN THIs RIP OFF RESTAURANT THAT YOU ARE GOING TO WASTE YOUR MONEY and time on. The food is not great. It’s noisy as they have a wall of windows opened to the Strip. Great service though and a pretty venue. NOW I understand why people would spend more for a gourmet experience. Every bite was perfect and the server friendly, witty and helpful. DO THIS FOR SUNDAY BRUNCH AND GET THE TASTING SAMPLER... wow. Will definitely go back. We had a fantastic brunch celebrating birthdays with family and friends. The antipasto was exceptional. Would highly recommend. 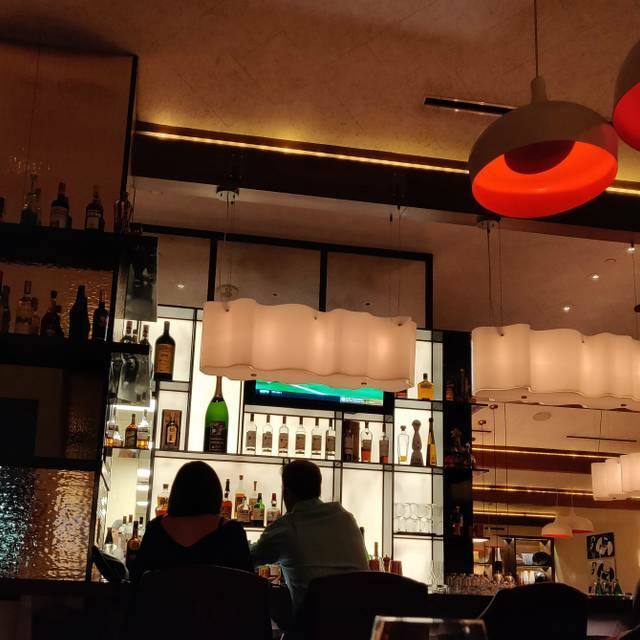 Excellent service and and excellent food. The wait staff was very attentive and the manager visited our table several times. The atmosphere was very nice as well. Would for sure go back again. Food was a bland, lemon spaghetti had little flavor. The minute we walked in we were treated like family! Fred was our waiter and was OUTSTANDING! The food was delicious....especially her romaine salad with citrus dressing and Cacio e Pepe........WOW!!!!! When it couldn't get any better we got the ricotta cookies!!!! Our wine complimented our food perfectly. Did I mention the view? Then they opened the windows.......WOW!!! Our party was made up of 5 women celebrating 50 years of friendship and family. We could not have picked a more perfect place. I can't wait to go back!!! Truly wonderful from start to finish. This was so refreshing after a rather unpleasant and expensive experience at Carbone the night before. The staff were warm and extremely helpful.